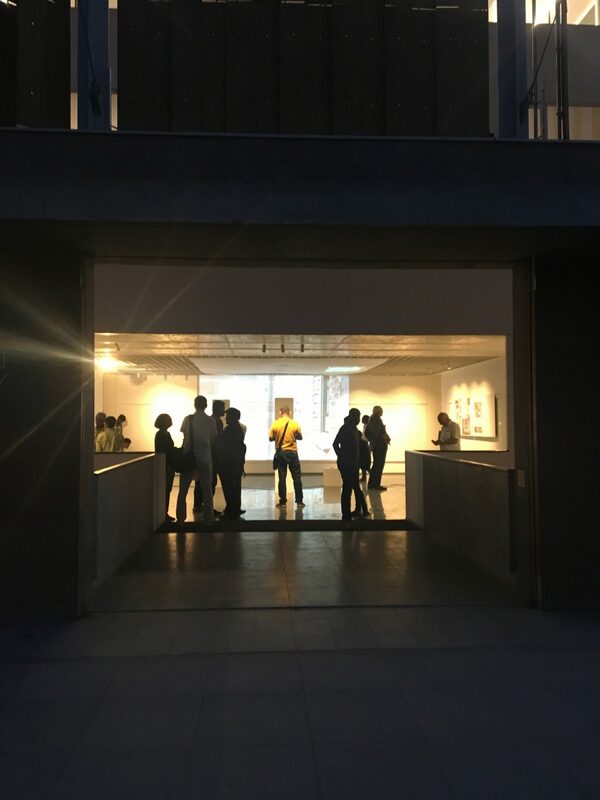 Words on the opening of Displaced Longitude at CEPT University, Ahmedabad - 3rd Apr 2019 The greatness of India lies in its people, its landscapes, its cities and in the gigantic armatures built to house ordinary lives – elegant and logical architecture ameliorating a hot climate, allowing commerce and conversation to flourish in shady halls. 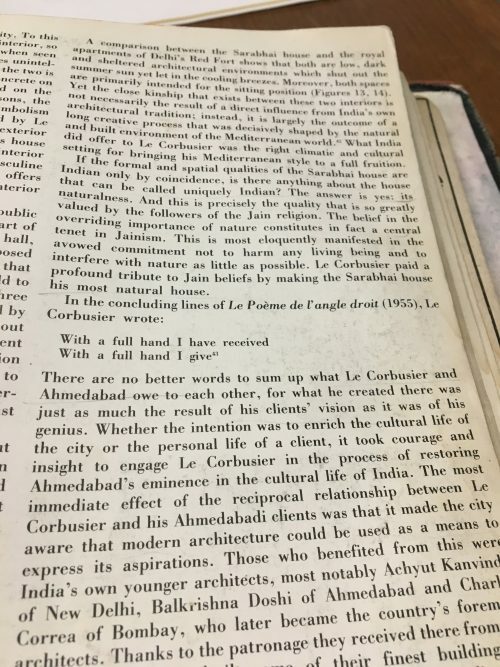 Of all the cities in India, Ahmedabad is a city of architectural ambition – the location of some of the greatest works of the 20th century incorporating these principles: buildings by Doshi, Le Corbusier and Kahn. 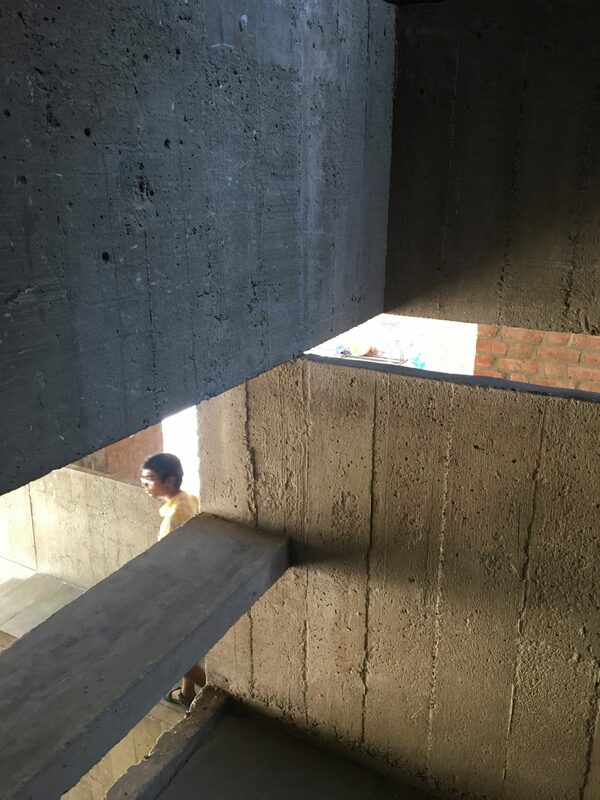 It remains a vigorous centre of contemporary architecture with the School of Architecture CEPT at its heart and Bimel Patel at its helm. Doshi’s School of Architecture – a building that dissolves inside and out – acts as a gateway to the campus, it frames a view of this beautiful new library designed by Rahul Mehotra. McCullough Mulvin Architects from Dublin and DPA from Delhi have been working on the design and execution of a new campus for Thapar University campus in Patiala, Punjab since 2015 – I am joined today by Sonali Nandi, the project architect. Through this very successful and fruitful collaboration, we have drawn around us a project of significant scale both in terms of building, but also scale of ambition, of expertise and of trust. Our client base is enormous, comprising academics, students, facilities and estates, finance and research & development lead by the chairman of the board of governors Rajeev Vederah and the university's owner Mr. Gautam Thapar. By the end of this year we will have completed 10,00,000 sqft of space for Thapar University. We have been struck very much by the amount and degree of ownership that these buildings command and allow. This level of ownership is manifest in the fact that when there, you are never alone, people are at the heart of everything in India – you cannot move on site without a coterie of at least 50 people – the contributing voices echoing in ownership: now a chorus in a built space, a dream that has been realised. So the exhibition about to be opened by Ambassador McElduff is a moment along the continuum that is the exploration of our work through the medium of film. 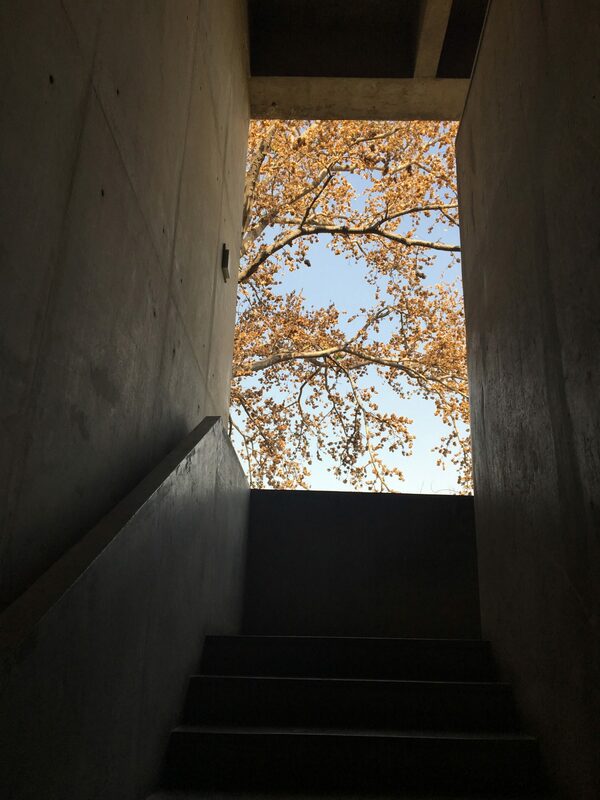 At McCullough Mulvin, the nature of our work is a series of palimpsests – ideas built on ideas and executed through buildings. These can be traced in a very non linear manner through the evolution of the projects. Part of this process is the viewing and re-viewing of the work when it is complete. The office is very much a laboratory for ideas, for built experiments, but the question of how architects extend their reach and explore beyond the complexity of building can be satisfied by this reviewing process – film allows a zooming out that smooths the edges and the trauma of building, sometimes revealing something new – film allows for a new commentary on the work. The films can also be used to explore other spaces. We have made a series of site specific installations: a ply wood floating city, an installation in a minimalist metro station and a gothic vault in Dublin. 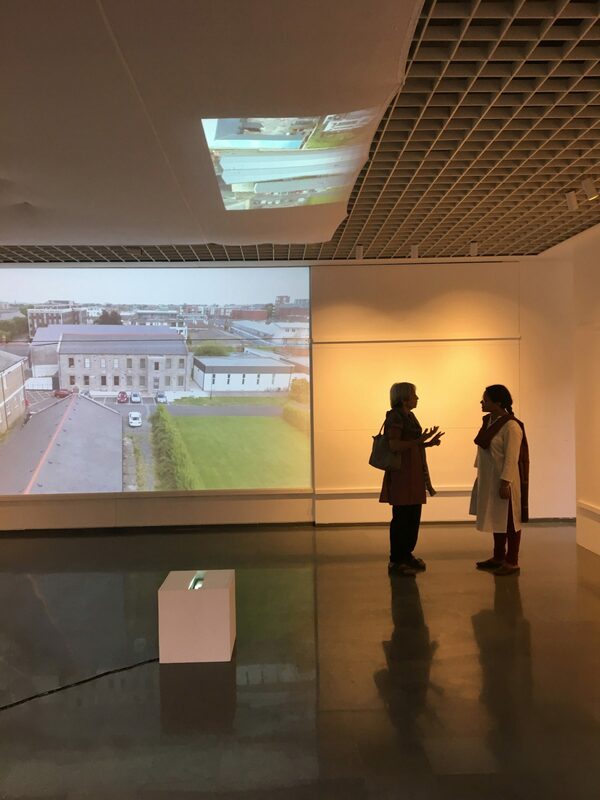 These films explore our work in Ireland and in India and they are accompanied here by drawings and photos. 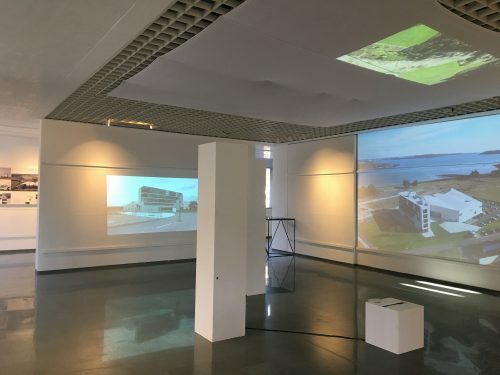 Taken in and around seven projects, the films explore themes in architecture: time, the relationship between natural and manmade geographies, the issues of perceptions in architecture. They are used together to further explore the context of each venue, bending colour around forms, new surfaces making the work feel different. The coupling of Thapar and film has an intensity of its own, a seam of richness intensified by speed of construction, distance and environment. The films shown here were taken in Patiala in February of this year. They speak for the place and try to set the scale of the work in a way that allows for its interpolation between ground and sky: the people who learn there now starting their own scaling of the territory. 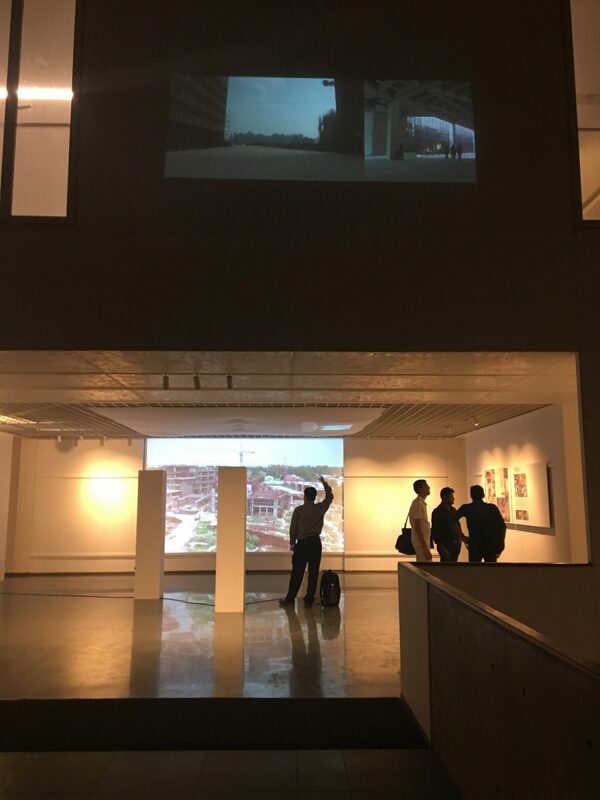 The last film captures the reflections of a group of students currently studying at TU – their observations kick start the next phase – a new lens through which to view the buildings now so familiar to us – their lines and forms like traces on our hands passed on to see what the next generation will make of them.